Republican candidates in front of Air Force One: It's odd. A shot from the early Republican debate at the Ronald Reagan Presidential Library in Simi Valley, California. Why is everyone at tonight’s Republican primary debate standing in front of a plane? It’s being held at the Ronald Reagan Presidential Library in Simi Valley, California and that’s Reagan’s Air Force One. 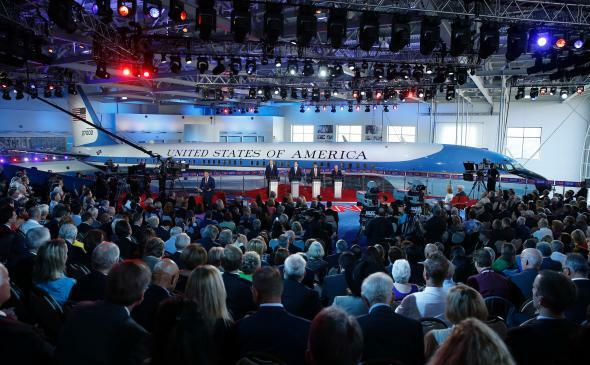 Isn’t it a little weird to have a debate in front of a giant indoor plane?